Size - Double, queen, king, etc. - what’s your ideal size? This comes down to preference, but don’t make the mistake of assuming that a larger size mattress than you’re used to, will fit just fine in your current space. Nobody wants to take up the entire room just for a mattress. The size will impact the cost. Thickness - We’ll cover specifics in the next major section, but the thickness of the mattress will impact the cost, and your comfort. If you’re sleeping more than one person in this bed, you’ll want to opt for a thicker mattress. Memory foam indents according to total weight and its distribution. Density - This isn’t the thickness of the mattress, it’s the density of the specific foam construction used. No company can just use the same exact construction as their competitors, so there’s different density ratings. Individual sales pages will have more information on specifics per brand and model. Foam Type - There’s brand-specific types engineered just for them, then there’s gel memory foam, and other sorts. We’ll discuss each of these types in the sections to follow, and why they make such an impact in your purchase decision. Comfort - After all, isn’t it half the battle? Many low-tier memory foam mattresses make one of two mistakes: make it comfortable, not sturdy, or make it sturdy, not comfortable. While we’ve weeded out the bad mattresses (we went through a lot of products), we kept comfort on the top of the list. 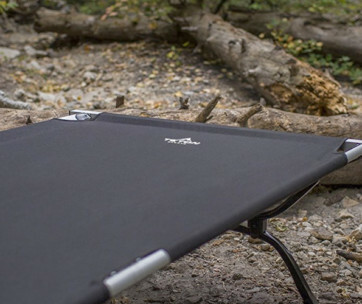 8” Memory Foam - These are the thinnest of the thin, and only provide a little bit of protection. 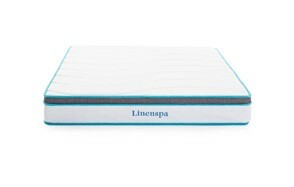 If you’re sick and tired of traditional spring-loaded mattresses and really need to make the switch, this can get your foot in the door. This is generally meant for single sleepers at a healthy BMI, otherwise you may sink too low into the mattress. 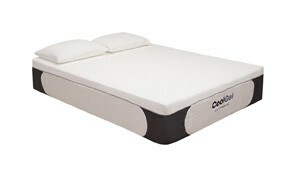 10” Memory Foam - Now you get into a bigger league, but even so, it’s still best to stay as a single sleeper in these. You can double-up, but expect to roll to the center of the bed if you’re both trying to lay in the center. 10” memory foam has a bit more breathability, so you’ll stay cooler for longer throughout the middle of the night. 12” Memory Foam - These are viable thicknesses for a dual-sleeper bed, especially if you get up into the queen sized mattress area. These provide enhanced breathability, and as long as you don’t have constricting sheets, you’ll feel nice and cool. Goodbye, morning time neck sweat, and hello to sweet, dry salvation. 14” Memory Foam - Now we’re getting a bit cushy. 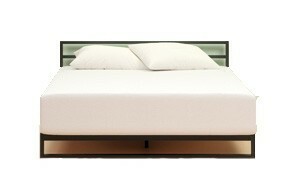 A 14” memory foam mattress looks like a monster, and can sleep however many of you you’re fitting into a single bed. These are good up to king sized, and allow you to have plenty of space to flail around in the middle of the night. 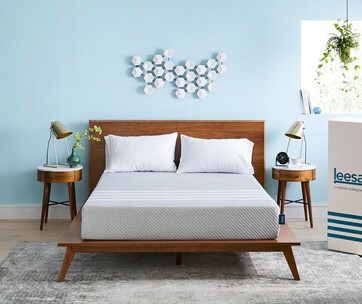 16” Memory Foam - There’s nothing better than the comfort, breathability, and immense height of sleeping on a 16” memory foam mattress, even up to a California king size. With these, weight and number of sleepers be damned, you’ll still stay nice and cool throughout the night, but be warned: you may never want to get up. Traditional Memory Foam - Now we’re getting into the different builds. Traditional memory foam was developed in the 1960s, and while not much has changed, it’s a viable pick for people making the switch. What we’ve learned about traditional memory foam, is that you will hit a certain point where it retains heat throughout the night. These generally stay on the cheaper side compared to the next two main types we’ll be talking about, and have a petroleum-based build. Plant-Based Memory Foam - The most breathable mattresses on the planet, but they won’t keep you warm in a cold winter night. These are arguable ten times better than traditional memory foam in terms of breathing, but they’re also going to heavily reflect those benefits in the price tag. 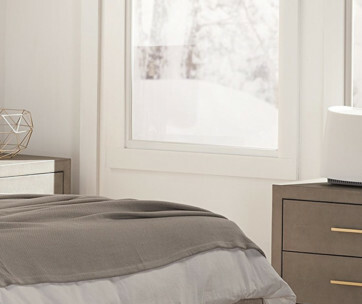 The foam is void of any base temperature, so you’ll need to pack an extra cushy comforter. Gel Memory Foam - These sleep hot, and cost you more money. It’s just fact. Brands like Tempurpedic have disproved the myths behind gel memory foam, up to a certain point. Gel is supposed to evenly distribute your heat so it doesn’t focus and reflect on your body, but it just retains it. However, that means it can be a nice chilly mattress when you first hop in. These run a bit higher, and aren’t our first recommendation for a memory foam mattress, except in specific circumstances.